Iconic brands share many common attributes that a brand holder must build over time and actively manage in order to maximize the value of the brand, also known as “Brand Equity” (or Brand Value). In a previous post, I explored the Brand Extendibility component of Brand Equity. One other key component is Brand Association. Building a positive Brand Association is one of the critical components of building a relevant and valuable brand — Amazon is associated with efficiency; Apple is associated with innovation; the Gold Rush often triggers consumers to think of Levi’s; animated films are associated with Disney whether or not they are actually produced by the company. “Brand Association” encompasses attributes such as emotions, products and images that trigger consumers to think of your brand, and that come to mind when they interact with your brand. The Coca Cola brand has done a great job evoking feelings of happiness and kinship from its consumers, and furthermore, the company has succeeded in associating itself with the Christmas holiday in the U.S. – so much so that it has actually had a tangible impact on the embodiment of Santa Claus as we know him today. Brand Association plays a key role in consumer purchase decisions, and can help bolster other components of Brand Equity, such as Brand Loyalty. Conversely, Brand Association can become negative very quickly, leading to consequences that are extremely difficult to undo; for example, the British Petroleum (BP) brand has developed a negative association as a result of the disastrous oil spill of 2010, which left many feeling angry and disappointed with the brand. Reversing this association and preventing consumers from immediately thinking of this event when interacting with the BP brand is the large and difficult task of the BP brand managers. Brand Association is strengthened by the ability to conjure emotion from the brand’s consumers. The book Basics of Branding: A Practical Guide for Managers, by Jay Gronlund, discusses the key principles for developing and maintaining a strong brand. According to Gronlund, “you’re not there until you have an emotional brand;” echoing the notion that the most valuable and iconic brands have an emotional tie with consumers. One way to evoke emotion is by taking a stance on a cultural issue. Whether or not specific consumers agree or disagree with the stance that a brand chooses to take, it is common wisdom that the action itself has the potential for great impact on Brand Association, and ultimately on Brand Equity. One could argue that Cheerios’ open embrace of “non-traditional” family constructs, and conversely, Chick-Fil-A’s embrace of traditional religious values, have each had a large impact on the respective companies’ Brand Equity. With the “Dream Crazy” campaign, Nike has embraced the elements of Cultural Branding. The Cultural Orthodoxy surrounding the acceptance of societal barriers and the current state of social justice is the challenge that Nike has chosen to pursue, recognizing the Cultural Opportunity to embrace the ideologies of freedom, equality, and unbounded opportunity. 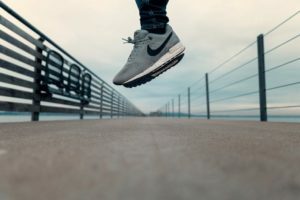 Naturally, the company has framed its efforts around the sports culture in general; but more specifically, we see the campaign targeting a number of different subcultures in the advertisement, collectively forming the Crowdculture, which Nike hopes would act as a conduit to Diffuse the New Ideology to a broader audience. In a pre-digital era, targeting these underrepresented cultures may not have allowed Nike to reach the critical mass it requires as a global, public company. However, in the age of social media, the targeting of subcultures has not only become easier, but has become an extremely effective tool for brand strategists to spread their message and impose their ideologies on the broader society. For Nike, much has been made about the decision to endorse Colin Kaepernick and launch the ad campaign. People have been seen across media platforms burning the company’s gear or otherwise publicly denouncing the brand. But did this decision actually hurt the brand? Or did the effort serve to bolster Brand Equity even further? A recent study published by Quid, a big-data analysis and visualization company, provides some insight on the buzz generated by the campaign. According to the article, the “Dream Crazy” ad received 15% of all media coverage surrounding controversial ad campaigns over the past 16 months – more than any other campaign. Next, they analyzed 1,500 articles specifically covering the campaign and noted that 31% used language that was skewed negative, 13% positive, and the remaining 56% neutral – which is actually noted to be favorable compared to the “predominantly negative” reception of other campaigns such as the Kendal Jenner Pepsi advertisement and the H&M sweatshirt event. With these 2 analyses in mind, we see that the campaign generated significant press coverage for the brand, meaning its messages were conveyed (well-received or not) to a very large audience, thus fulfilling the 4th principle of effective Cultural Branding. The campaign seems to have strengthened Nike’s image as an emotional brand, unafraid to push boundaries and take a stance. The Kaepernick campaign is just another example of how Brand Equity is built through positive Brand Association, achieved through emotional branding and carried through Cultural Branding. Somewhat counterintuitively, standing for something greater than the product itself, much like Cheerios, Chick-Fil-A and others, is a driving force behind the sale of Nike goods.